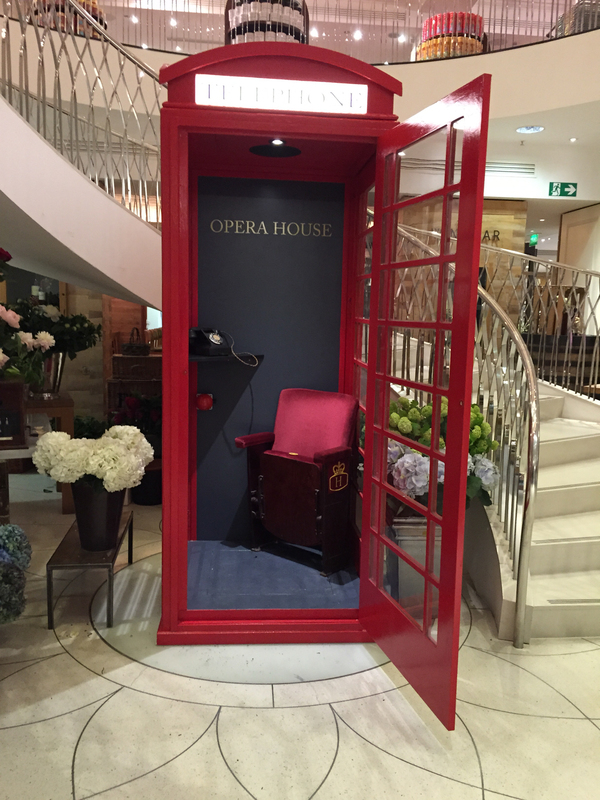 Installation of full audio and lighting systems in the Grange Park Opera’s smallest venue – a reproduction British Telephone Box! Sometimes, its not all about the size, but what you do with it. Push The Button were approached by Grange Park Opera after a long standing relationship carrying out works at there regular venue of the Grange in Hampshire, to ‘fit-out’ their newest venue of a reproduction telephone box with audio and lighting. A small MP3 audio sound store was installed complete with a ‘LISTEN’ button to allow the single person audience to experience some opera. LED lighting completed the internal ‘fit-out’. Push The Button engineers installed the telephone box at the world famous Fortnum & Mason department store in Piccadilly, London where the experience proved a hit with shoppers.